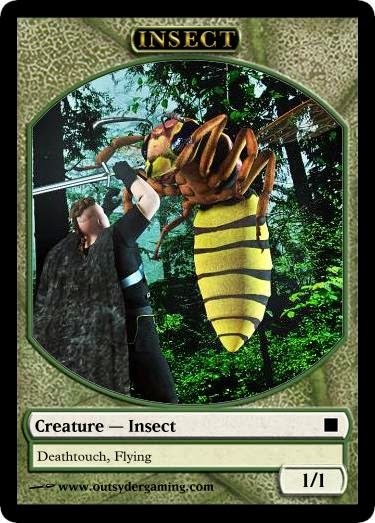 It seems like forever since I've written anything for Outsyder Gaming, but today I bring you a treat... custom insect tokens for Magic: The Gathering. 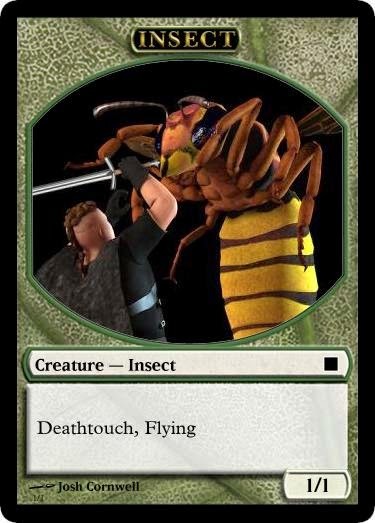 If you've ever dropped a Hornet Queen on the board, or blocked with a Hornet Nest, you know what it means to need a lot of flying deathtouch creature tokens. There are a lot out there, but I'll be jamming these in the near future. In the near future, be on the lookout for a lot more content. After taking a few months off from writing, I'm re-energized and ready to get going again. Edit: I just wasn't satisfied with the tokens above, so I kept working at it. After much trial and error, I finally arrived at this version. 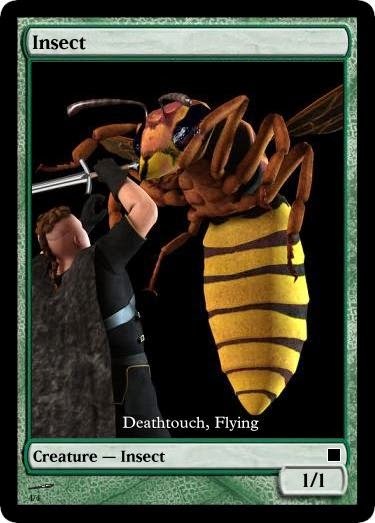 Click here for a ready-to-print PDF file.